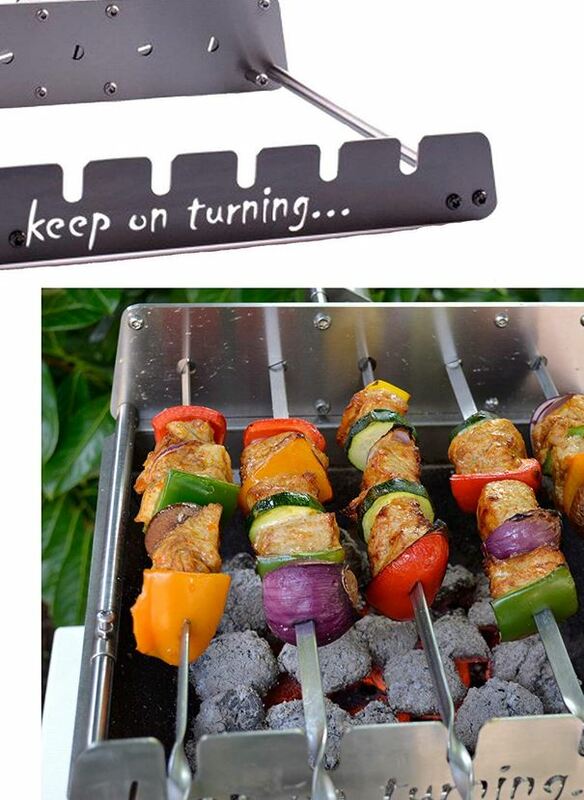 Here is another convenient tool that lets you automatically rotate your kebabs on the grill to cook them perfectly. 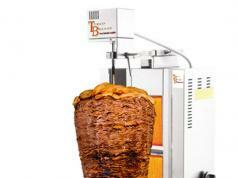 The Keep On Turning Automatic Kebab Rotisserie has a stainless steel construction. 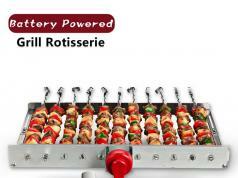 It can handle up to 5 skewers and comes with motor powered via a USB connector. 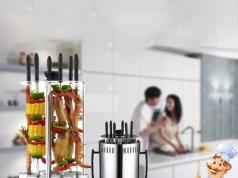 The motor can rotate your meat 3 times per minute. You can find out more here.